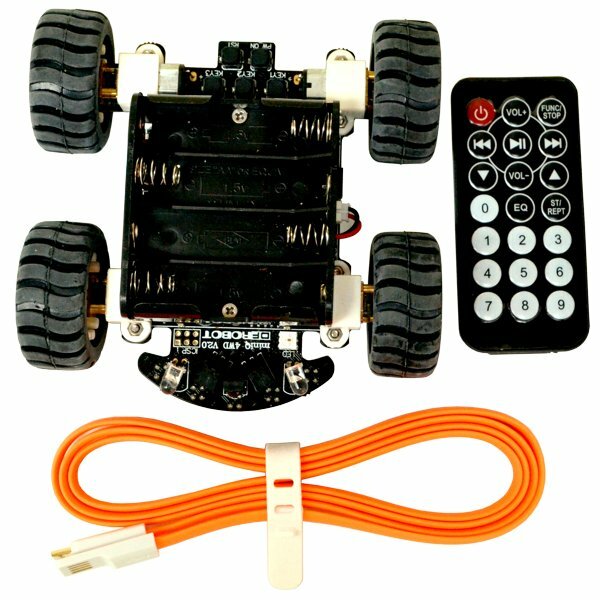 The MiniQ 4WD Robot V2 is an Arduino Leonardo compatible robot that comes fully assembled and ready to play. This robot has a full set of features to play with including built in sensors, buttons, LEDs, motor driver and an IR infrared remote control. There are five lower facing IR infrared sensors to provide line and edge tracking functionality. These sensors allow your robot to follow lines and detect table edges. Two forward facing IR infrared sensors serve as obstacle detectors. Two ambient light sensors are also provided. A set of three user push buttons allow your program to interact with user. A multicolored RGB LED can provide visual feedback and an audio buzzer can tones and generate beeps. Dual motor driver channels drive two pairs of micro metal gear motors with a pair of encoders to provide motor feedback. This quick little robot can drive at speeds up 79cm per second. An IR infrared remote control allows the robot to be commanded from a distance. It can also be used to send IR commands like a TV remote or be used to communicate with other robots. A remote control is included. 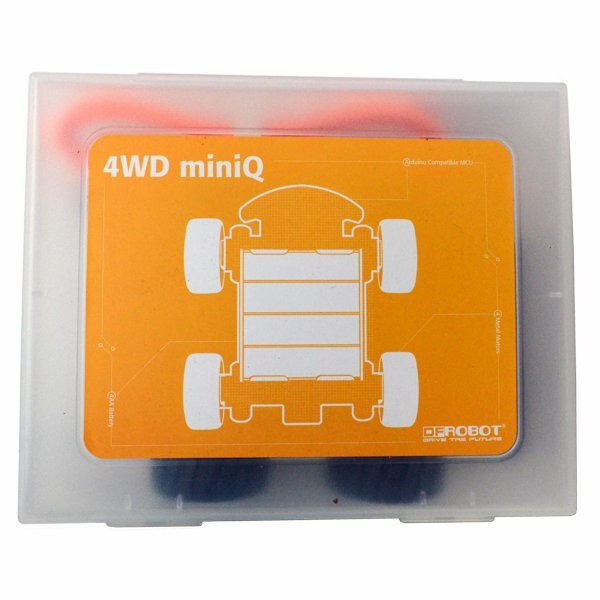 The MiniQ 4WD Robot is fully programmable over USB. It has an Arduino Leonardo compatible ATmega32U4 microcontroller and is can be programmed with the popular Arduino IDE. A set of tutorial programs is provided to get you started. It also includes an ICSP port for advanced programming projects.